We are manufacturing Manual Tube Puller. - No power needed: Manual insertion and removal of tube puller with a hand wrench. Ideal for field service applications. Economical manual tube puller provides easy method for faster tube removal. With our through process knowledge, we offer our clients a range of flawless Manual Tube Puller.These are a hand operated equipment and can remove minute quantities of tubes. These pullers are available in varied specifications detailed down by the customers. 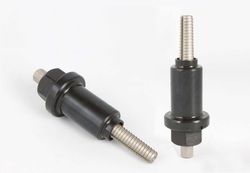 Moreover, the pullers are meticulously tested on diverse parameters. - Simple Design : Only two major parts reduce inventory. Maually tube puller is used to pull tube from sheet. We are instrumental in offering an immaculate assortment of Manual Tube Pullers. These high quality Manual Tube Pullers are hand operated equipment. 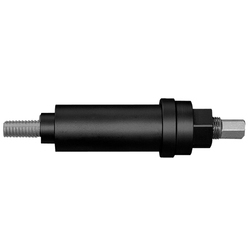 Our pullers are capable of removing minute quantities of tubes. Stringently tested before dispatch, these Manual Tube Pullers are also available at market leading prices. Technodata Germany Tube Pullers are devices for pulling tube out of the expanded area of the Tube Sheet. Equipped with hydraulic drive. Our clients can avail from us high grade Manual Tube Puller. These are hand operated equipment, which are instrumental in removing minute quantities of tubes. Our clients can avail from us standard range of manual tube puller.